Waheguru Ji Ka Khalsa Waheguru Ji Ki Fateh. Hukamnama today is on Ang 626 of Sri Guru Granth Sahib Ji in Sorath Raag by Guru Arjan Dev Ji. Satguru Guru Arjan Dev Ji Maharaj is blessing us today. I ambalihaaree, a sacrifice to my Guru, to Satguru Raam Das Ji Maharaj, that pooran, that perfect Guru savaaree, who preserved and protected paij, my honor,pooran, he completely protected me, how? By giving the gift of his name, by giving me the gift of Waheguru Ji's name, by giving me the gift of God's name, Guru Sahib Ji has preserved my honor in this world and the next. 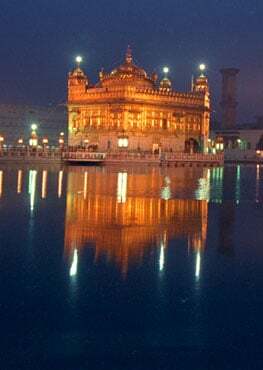 Because Gurmukh Piaario, thos e people have the name of God, does not matter what the world says, they always have honor, they always are winners, they always the champions of this earth. Guru Sahib JI says in Gurbani og Guru Granth Sahib JI, gurmukh lahaa lai ga-ay. The Gurmukhs and the true purpose of this life; manmukh chalday mool gava-ay jio But the manmukhs, they don't even have the body which they came on to this earth with, they loose everything. In the same way as Guru Gobind Singh Ji Maharaj, when Guru Gobind Singh Ji's four Sahibzaadays, they had all attained martyrdom, Guru Sahib JI's mother had left this earth, Guru Gobind Singh JI's father had attained martyrdom, Guru Sahib JI still wrote a zafarnaama, which means a letter of victory. which shows the Gurmukhs, it is always in any case the Gurmukhs, the followers of the Guru, indeed as the Guru showed in their own life, the victory they always have true honor. They are always protected. Those who Dhi-aa-i-aa, meditate upon parabhu, upon Waheguru and will dosadaa, not just one day or two days but forever and forever.apunaa who got to be their own,they look upon Waheguru as their father, as their mother. man chindi-aa fal paa-i-aa, paa-i-aa, they receive the fal, the fruits of the chindi-aa, of their desires of theirman, of their mind. whatever they ask for they receive. santahu, O saints, O saintly beings, O followers of this path, tis bin avar na ko-ee without Waheguru there is no avar, other, Waheguru Ji is everywhere at all times permeating and pervading through all. That Waheguru, that Prabhu, is the karan, the one who is acting out on all things on this earth and is thekaaran, the cause of all these things. Waheguru is the creator and Waheguru is sitting within the creation as well.rahaa-o, Satgur Ji Sahib says pause and think about this today. Waheguru has blessed us with var, with blessings, with their Grace. All of the jee-a, all of the souls upon this earth, all of the beings are in Waheguru Ji's vas, are in Waheguru Ji's control. parabh apnai var deenay, And upon those saints who meditate upon God, they are blessed by Waheguru. sagal jee-a vas keenay, All of the jee-a, all of the beings upon this earth serve them. Gurmukh Piaario, Guru Sahib Ji is saying to us if you serve Waheguru the whole of this universe will serve you. Satgur Arjan Sahib Ji says those people who have meditated asjan, as his humble servants, taa saglay dookh mitaa-i-aa, all of their dookh, pain, saglay means all of, mitaa-i-aa means have been removed. Those who have humbly meditated upon Waheguru all of their pains, all of their sorrows depart. in this world;palat, in the next world, through the har Dham, through the wealth of Waheguru Ji's naam, through the wealth of Waheguru Ji's gi-aan, through the wealth of Waheguru Ji's Gurmat, bhagtaa ka-o milee vadi-aa-ee, the devotees , the ones who are imbued with love for Satguru Granth Sahib Ji's Magaraj, the ones who are imbued with love for Akaal Purakh Ji, they will blessed with vadi-aa-ee, with greatness, with glory.